Many things about Lean can at first appear counter-intuitive. There are few sectors where this is truer than in retail banking. Against a backdrop of services rapidly transitioning to online delivery and consumption, the conventional fear is that retail banking will follow the fate of book shops, music stores and travel agents, made redundant by online competition and disappearing from high streets around the world. 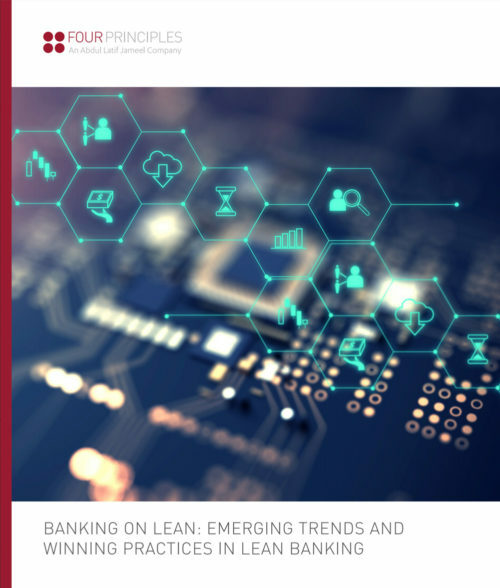 However, Four Principles believe that retail banking is different – that branches can still play a vital role in a redefined future financial landscape. Why? Because the human element will always play a key role in financial services. By implementing continuous improvement and optimising service and client interactions, customer loyalty can be cultivated through a customer’s key interactions with their bank. Also known as “moments of truth”, each of these key interactions provide invaluable opportunities to delight, build trust and nurture the bank’s relationships with each and every one of its customers. The six key “moments of truth” are arranging a mortgage; seeking financial advice; opening an account; proactively offering a product; troubleshooting and communicating a price increase. However, in order to maximise the potential of these interactions, retail bank staff need to be liberated from back-office processes to concentrate on what they do best – serving the customer. 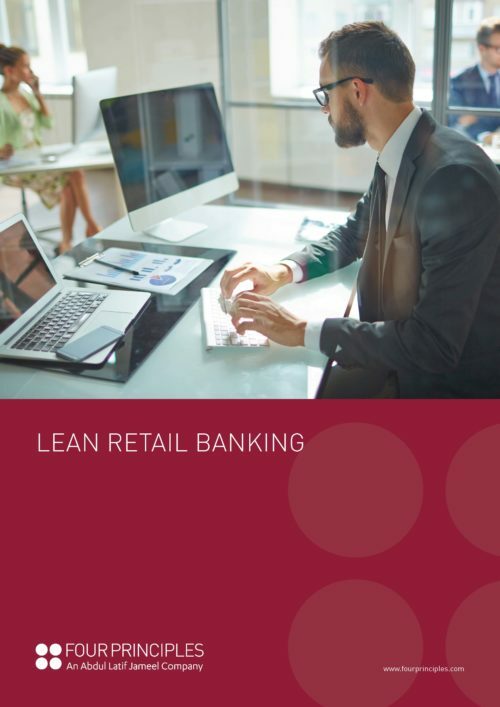 For this reason, Lean retail banking focusses on four key areas to eliminate waste and implement continuous improvement. The Takt principle aims to level out and establish steady workflows by identifying and resolving bottlenecks. Visual performance management creates greater transparency, enabling employees to recognise and resolve problems quickly and easily. The establishment of generalist and specialist teams enables the differentiation of “moments of truth” from customer interactions that do not require specialised work and can therefore be standardised to a high degree. Finally, centralisation of back office functions enables a bank to retain a widespread sales network, remaining geographically close to its customers and able to build and nurture client relations through optimised “moment of truth” interactions. Working together, the implementation of these improvements can empower a customer-centric retail banking experience and provide a powerful driver, not only for sustainable future growth and profitability, but also for the renaissance of the traditional branch network.